This Big Bird Costume’s Covered in 3000 Feathers « Adafruit Industries – Makers, hackers, artists, designers and engineers! Becoming Big Bird from Sesame Street is no small undertaking. The character towers over everyone, and when Replica Prop Forum (RPF) user georgecosplay made a replica, he designed it to be over seven feet tall. Wow. He fabricated the entirety of the costume from the eyes on the head to the frame underneath the body. 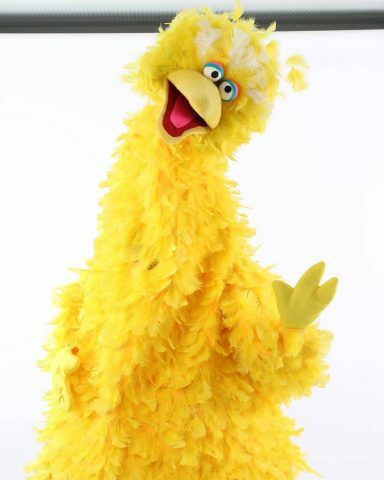 Big Bird’s skin is made from yellow fleece and covered with about 3,000 feathers. Though much of the cosplay construction sounds challenging, I’m guessing the most tedious part was applying the feathers. George did so by hand; he glued each feather onto the fleece individually. Learn more about the build and view design notes at The RPF and see more George’s costumes on Instagram.